The Landis+Gyr E850 MAXsys Elite metering system provides precision metering for high-profile application solutions for Generation, Transmission, and Industrial applications. With the collection of sophisticated power quality and consumption data, utilities can monitor power quality at multiple levels across the system, improve service at the customer premise, and proactively receive notifications for changes to power quality. Originally designed for substation, generation, and transmission applications, the MAXsys metering platform has evolved into a much higher level of intelligent power quality monitoring device. 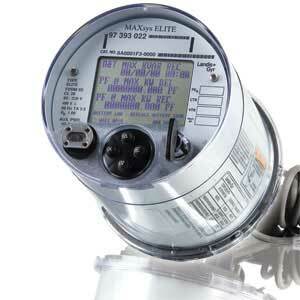 The MAXsys E850 Elite meter is designed from the most time-proven and successful meters in its class: the MAXsys 2510 and Quad 4+ metering platforms.